All items are received by donation, therefore, distribution of items are based on availability. All supplies are offered to individuals and families in need without financial cost to them. 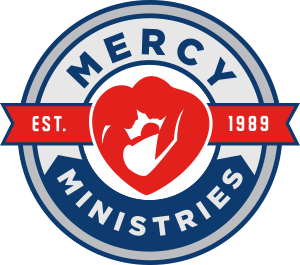 Mercy does not bill or seek reimbursement from insurance companies or the government for services or supplies offered to individuals and families. At the heart of Mercy beats a message of love and a commitment to protect and enhance the lives of children and their families. Volunteers meet with and provide information to individuals and families. On average 1,400 clients receive services yearly. The love of Christ is shared through words and deeds. Mercy provides educational seminars upon request. Parenting Education provides instruction, especially for first time moms. Dads are encouraged to participate. When an individual chooses life for their pre-born baby, they need to be prepared. Parenting education is one aspect of the vital services clients receive. Clients register to participate in a life skills class. Registration occurs in October. As part of the registration process, clients provide the names and birth dates for their children, age’s birth to 8 years of age. In December, clients participate in their life skills class. After completing the class, the mom or dad selects one toy for each of their children (registered children only). The parent wraps the toy, takes it home and gives their child or children the toy(s) on Christmas morning. Clients are invited to participate in a Bible Study offered by a volunteer. The VERY basics of God’s Word are presented with the goal in mind of encouraging the new believer to read the Word of God as well as attend a local church. Individuals and families who have experienced an abortion are welcome to participate in this class. Understanding and receiving forgiveness offered through Jesus Christ leads to healing and hope.